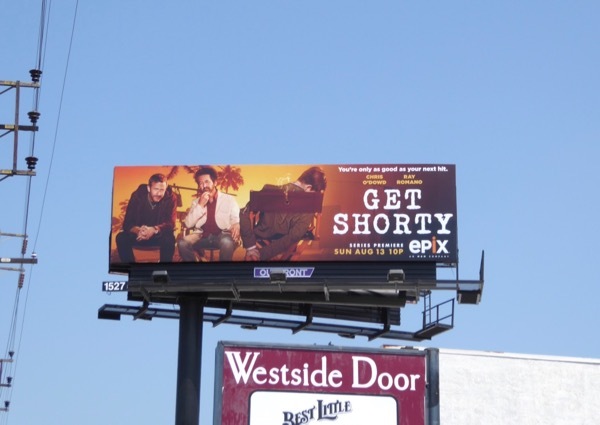 After debuting spy thriller Berlin Station and political comedy Graves last October, Epix next original scripted fare will be a TV remake of the 1995 crime thriller comedy movie, Get Shorty, which starred John Travolta, Gene Hackman, Rene Russo and Danny DeVito. 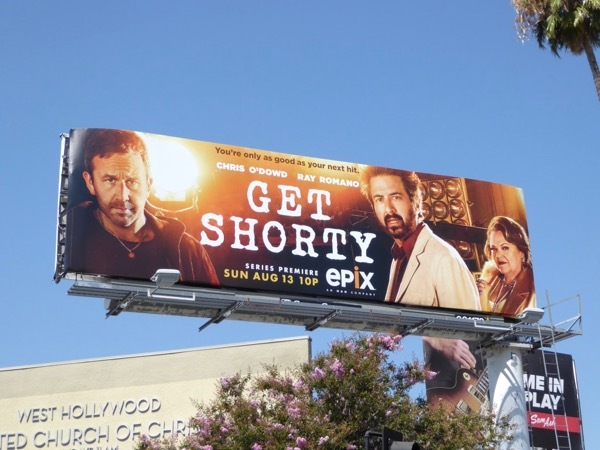 This new series based on Elmore Leonard's 1990 novel of the same name, stars Chris O'Dowd, Ray Romano and Lidia Porto, and follows the misadventures of a mobster-turned-movie producer in Hollywood. 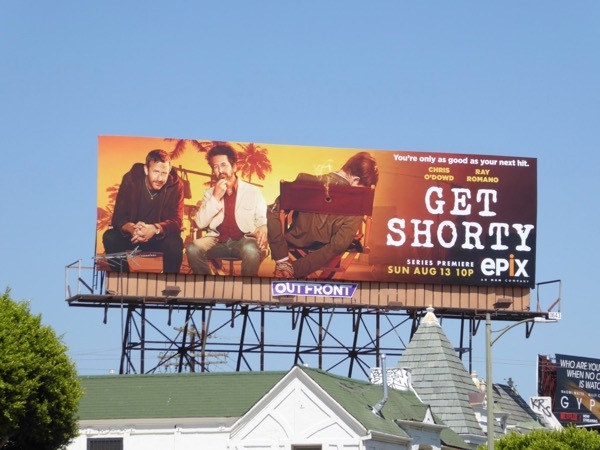 These Get Shorty TV remake billboards were shot along Sunset Boulevard, Sepulveda Boulevard, Pico Boulevard and Westwood Boulevard from July 18 to July 21, 2017. 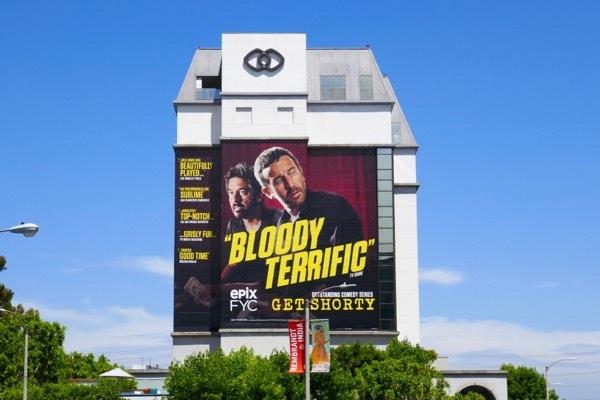 Fans of Chris O'Dowd can also check out these Family Tree TV series billboards and these Mascots film billboards. 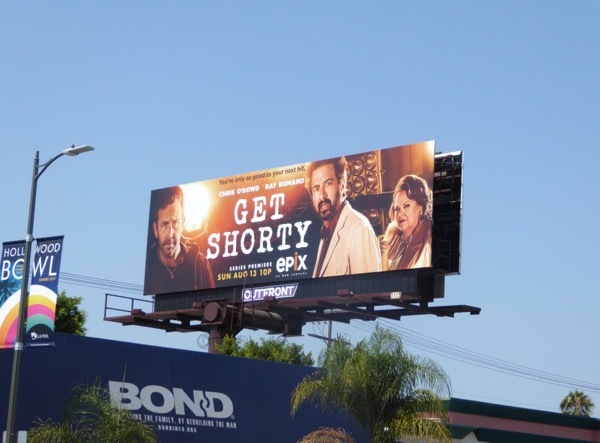 It's always tricky to adapt such a beloved movie for television, so let's see if Get Shorty has a future beyond its first ten episode season, or whether it will get the bullet. 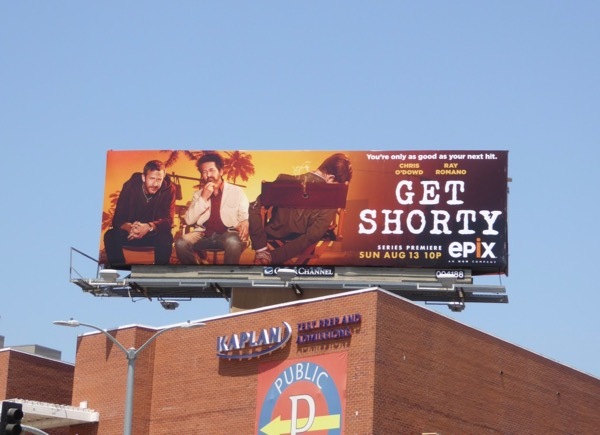 UPDATED: Epix renewed its dark comedy for a second ten-episode season, but can Get Shorty also score this awards season. 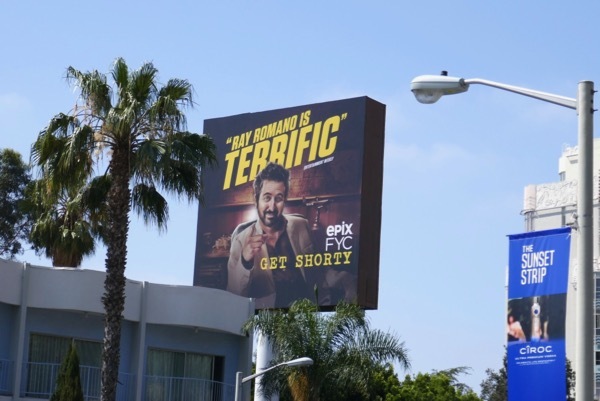 These 'terrific' Emmy consideration billboards were spotted along the Sunset Strip on May 28, 2018, plus above Westwood Boulevard the next day. 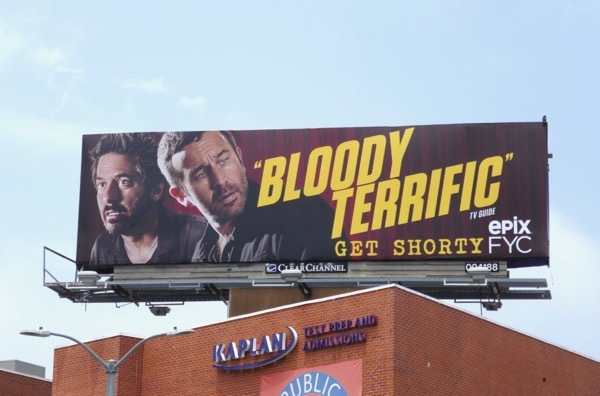 And here's also a solo Emmy FYC billboard for Chris O'Dowd snapped along La Cienega Boulevard on June 2, 2018. 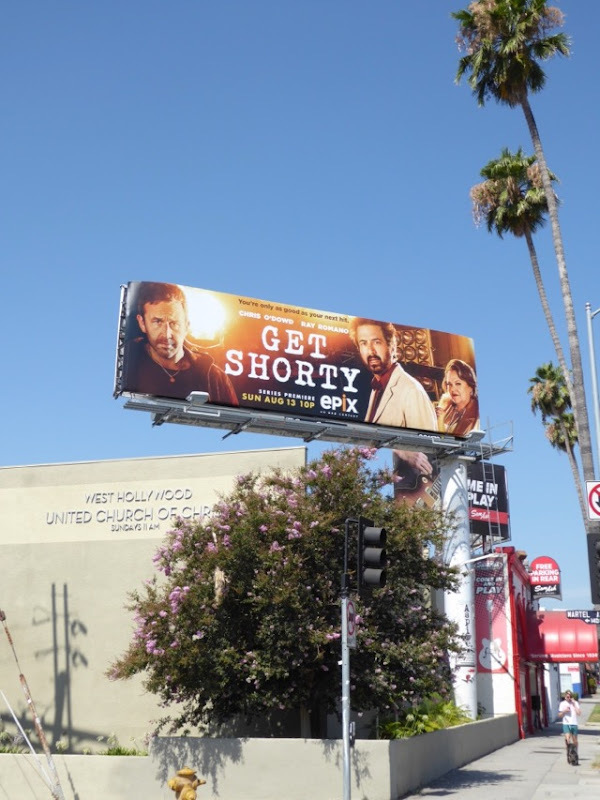 Plus here's another billboard example with O'Dowd in the spotlight, and under the gun, spotted along Beverly Boulevard on June 9, 2018. 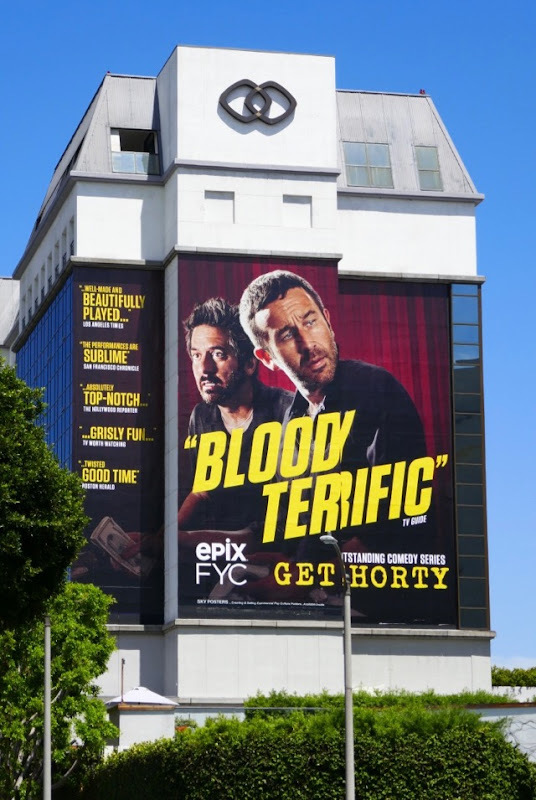 UPDATED: Epix really is going all-out for this original series, with this super-sized Emmy consideration billboard spotted on the side of the Sofitel Hotel along Beverly Boulevard on June 15, 2018. 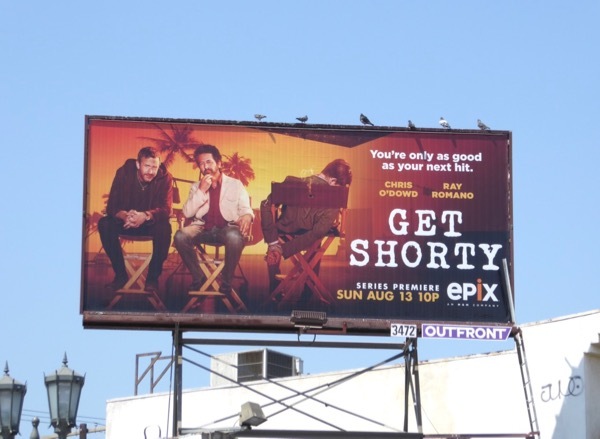 It's almost like they've spent more money on the Emmy campaign than the initial launch campaign for this rookie show.